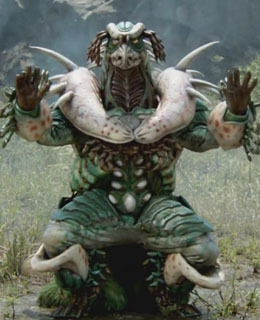 A scarab beetle-like creature that created large boulders to attack enemies and was destroyed by the Megaforce Rangers' Megaforce Blaster. An alien scientist who captures humans with the idea to conduct experiments on. 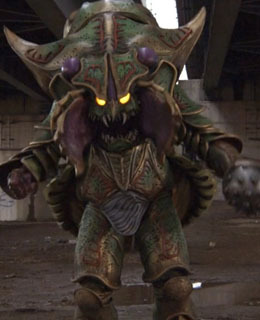 He is a ladybug-like creature who can split himself into five small UFOs to evade the Rangers. 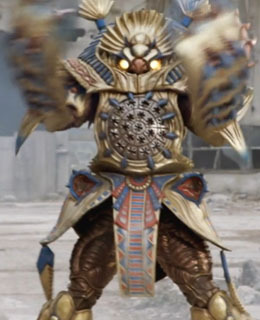 He is able to trap people in a cocoon-like substance and is destroyed by the Gosei Great Megazord. A stinkbug-like creature that is able to sneeze out a virus that turns humans into Loogies. 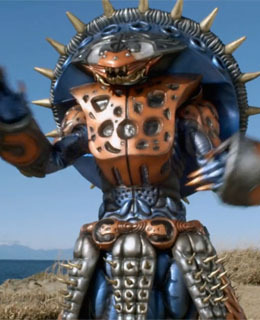 He is the first monster to be destroyed by Sea Gosei Great Megazord's Sea Strike. A dragonfly-like creature who is able to run at great speeds and shoot lasers from his eyes. 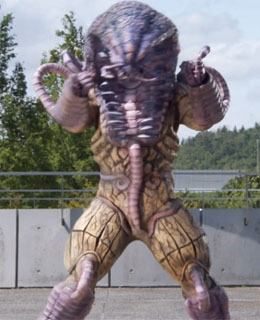 Destroyed by Land Gosei Great Megazord's Land Strike. 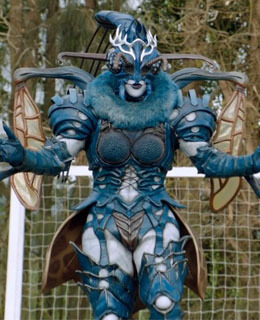 This wasp-like monster calls herself "Queen Bee," which Malkor takes as a claim similar to Vrak's alien royalty. Beezara has the ability of producing a fluid that turns males into unwilling servants. Her fluid also turned Gia and Emma against each other before the girls overcome her spell. 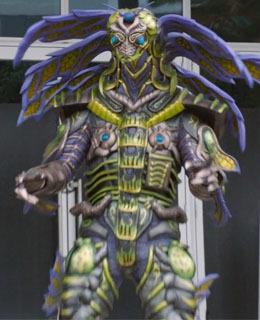 Beezara is destroyed by Sky Gosei Great's Sky Strike. A cricket-like being who considers himself the best musician in the universe. He plots to use his music to destroy all of the humans on Earth and the sound is extremely painful to most people who hear it until Emma negates its effects with her own voice. 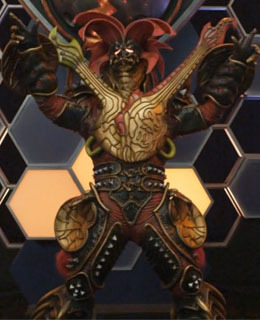 He is destroyed by the Gosei Great Megazord's Victory Charge.